Now that the first wave of triumphalism and consternation about Brexit vote on June 23 has died down a bit (my own thoughts just after the vote are here), it's useful to start thinking about actual next steps. Richard E. Baldwin has edited an e-book for VoxEU, Brexit Beckons: Thinking Ahead by Leading Economists, with short and readable contributions by 19 economists. Here, I'll draw on their contributions and offer some thoughts of my own. Brexit was a vote for the United Kingdom to leave the European Union, but it didn't specify what comes next. Leaving the EU isn't just about trade and immigration with the EU directly. The European Union acted on behalf of its members in negotiating trade agreements with the rest of the world, and so the UK must also renegotiate all of those trade agreements, along with renegotiating its status with the World Trade Organization. Moreover, part of membership in the single European market was a very large number of specific rules and regulations about certain industries, some that were doubtless silly, but others that facilitated contractual and financial arrangements across countries. Membership in the EU also meant, for example, support payments to Britain's farmer and easy access to the European market for their production. As Baldwin notes in his overview, the prospect of all this renegotiation is "massively complex." Meanwhile, firms around the world are every day making decisions about where to expand or start up a new office or operation--and where to not expand, pull back, or shut down. If the UK process of renegotiation is long and drawn-out, there will be an dose of extra uncertainty about making business plans involving the UK. So what are the main options for Britain's renegotiators? Probably the most popular choice among the writers in this book is referred to as the EEA or the "Norway" option." Without trying to decrypt all of the alphabet soup of initials around the European Union, the European Economic Area is an overlapping and broader concept. It includes the EU countries, as well as Norway, Iceland, and Liechtenstein. These countries participate in the European single market (with some exceptions like agriculture and fisheries), but are not members of the EU. They make lower contributions to the EU budget, and are not part of EU decision-making. It's easy to see some the attractions of this approach. There is a template to follow, so the renegotiation could be fairly quick. The UK could send a lot less money to Brussels, which would surely look like a win to the "Leave" proponents. For the "Remain" proponents, the UK economy would along many dimensions continue to be part of the single market. That said, it's not at all clear that this approach would be politically acceptable in the UK. The UK would still be complying with single market rules, but would no longer be involved in negotiating those rules. In particular, the UK would need to remain open to immigration. Thus, some variations on the EEA concept are being floated. Immigration was a major factor – perhaps the major factor – in the Brexit vote. ... It looks likely that the UK’s negotiating position may coalesce around an ‘EEA minus’ arrangement. While free movement would not continue as now, this would not imply moving to a system that gives effectively equal treatment to EU and non-EU nationals; there would still be a considerable degree of preference for the former. The negotiations would likely be legally, economically, and politically complex, but this does not mean that it is not worth trying. If the UK’s vote to leave the European Union was a vote against anything, it was a vote against free movement of workers within the EU – a vote to “take (back) control” over immigration policy. For most economists, this is paradoxical. There is a clear consensus that in the UK the economic impacts of immigration, particularly from within the EU, have been largely benign. In particular, there is little or no evidence of economically significant negative impacts on native workers, either in terms of jobs or wages, while the public finances and hence public services have, if anything, benefited. Of course, there is no particular reason to believe that the EU is willing to negotiate this kind of option, given that other members will be watching carefully to see if they might want to demand some additional flexibility of their own, whether on immigration or on other issues. Overall, it's not clear whether the EU will react to the Brexit vote as a signal that it should take a half-step back and allow its member states greater freedom and flexibility in certain areas, or whether it will react--expecially now that the UK is no longer involved in meetings and making an anti-interventionist case--by creating an imposing a new wave of common rules and regulations. The alternative that seems most sensible from an economic perspective is the Norway option. It may well be that the UK government could make this palatable, despite the free movement of people, by bundling it together with a very thorough set of policies to help the UK citizens who have been left behind by globalisation, technological advances, and European integration. Maybe we could call it the ‘EEA plus anti-exclusion option’ (EEA+AE). If this came to pass, the main economic policy outcome of the Brexit vote would be simple. The UK would end up with more influence over its trade, agricultural, and regional policies, but less influence over the rules and regulation governing its industrial and service sectors. If an EEA-related isn't practical, either for UK political reasons or because the EU isn't willing to negotiate it, then what other options are possible? Another model is Switzerland, an economy with a large financial sector (like the UK) which has negotiated a set of bilateral deals with the European Union. Canada has signed a free trade agreement with the EU, and presumably the UK could do the same. Or the UK could just become part of the World Trade Organization and trade with the EU under those rules, which has been the legal framework for how the US trades with the EU. 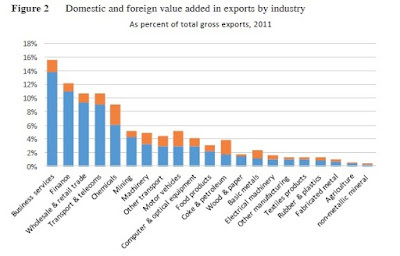 cross-border exports of services (as opposed to locating firms in foreign markets) and transparency agreements, and cover specific sectors only. No FTAs offer anything like the service sector access offered by the Single Market." In short, the UK can in some ways agree to replicate a number of existing trade agreements. It could go to the WTO, and say that it will just more-or-less leave all its trade commitments as is. There's no precedent for how such a negotiation should happen, but this seems at least theoretically possible. As Armstrong points out: "The EU has 53 preferential trade agreements – mostly with developing states – that will no longer cover the UK after withdrawal. The UK would also need to consider if, and how, to be included in the US-EU Transatlantic Trade and Investment Partnership (TTIP) and other free trade agreements (FTAs) under negotiation. The UK can seek to join regional trade agreements such as the Trans-Pacific Partnership, and enter into other negotiations such as the Trade in Services Agreement (TiSA). Whether the UK has more success or less influence outside the EU remains to be seen." But the essential issue here is that more than half of UK trade with the EU, and the bulk of that trade is in business services, finance, and wholesale and retail trade. These are areas where trade often requires detailed agreement on financial and legal regulations--the kind of detailed agreements that are part of the EU. Armstrong writes: "From n economics perspective, it is clear that agreements offering deep market access are more preferable than WTO access and many FTAs. The problem is that policies which enable deep market access encroach on the traditional domain of domestic policy." Currently, banks established in the UK – either UK owned or UK subsidiaries of overseas banks – have the right to establish branches or carry out cross-border activity in the rest of the EU and other EEA states (passporting). It is far too early to say if these rights will be maintained as a result of the exit negotiations. If the rights are not maintained, then many banks may have to reassess their European structures if they wish to carry out cross-border activity into the EEA. Before deciding on changes, however, the banks need to consider the extent to which they can utilise existing subsidiaries established in the rest of the EU to achieve their passporting rights. A quick review of a sample of major non-European banks with subsidiaries in London indicates that around three-quarters also have subsidiaries elsewhere in the EU. The farm problem is a particularly significant one. During the referendum campaign, UK farmers reportedly received assurances from Leave campaigners that the subsidies they now receive from the EU would be continued after Brexit. This is no small matter, as EU direct payments make up 54% of British farmers’ income. One issue may arise, however, with the nature of the payments. Under WTO rules it is not possible for the UK to provide trade-distorting subsidies to its farmers unless the UK has an agreement that permits it. Today, such payments are possible due to a deal that the EU stuck with its WTO partners when the UK was part of the EU. After leaving, the UK would either have to abandon the policy, or negotiate new exceptions with the other 162 WTO members. As some of the other members are vehemently opposed to such payments, negotiating such a waiver could be difficult. Additionally, continued access to the EU market for farm products is important since the EU buys over 60% of the UK’s agricultural exports. Even under the Norway option, this access is not assured since agriculture was excluded from the European Economic Area agreements (at the request of Norway, inter alia, when the deal was being crafted in the 1990s). There will be questions about how the preferences of Scotland and Northern Ireland will be reflected in the negotiations to come, and how this affects politics within the UK. Membership in the EU did limit UK policy choices in certain ways, for example, by limiting the ability of governments to hand out industrial subsidies. My guess is that at least some of the "Leave" supporters will soon be pushing for a new wave of such subsidies. In a biggest picture sense, UK trade relations are really just a step toward the bigger goal, which is a shared and growing prosperity for the country. Here, the concern should be that Britain's political system is so wrapped up in renegotiating with the EU and the rest of the world that it pays insufficient attention to the fundamental underpinnings of economic growth. As I've argued on this blog in the past, international trade is often treated as a scapegoat for economic problems that are more fundamentally about technology and the pace of change in a globalizing economy. The proximate sources of growth can be found in rates of increase of factor inputs, including capital, human capital, and hours worked, and of the productivity of those inputs. At a deeper level, economics highlights the importance of micro-foundations of growth in terms of the key role played by the incentive structures which inform decisions to invest, to innovate, and to adopt new technology, and which depend on institutions and policy. Obviously, there are a large number of supply-side policies that affect growth performance. These include areas such as competition, education, infrastructure, innovation, regulation, and taxation. Moreover, even for EU members, to a large extent these are very largely under the control of national governments. Even though relative UK growth performance improved prior to the Global Crisis, there have been long-standing failings in supply-side policy. The most obvious is in innovation policy, which is reflected in a low level of R&D, but education, infrastructure, land-use planning regulation, and the tax system also give significant cause for concern, while British capital markets remain notably short-termist with a bias against long-term investment. Although Eurosceptics complain about the costs of EU-imposed regulations, it should be recognised that the UK has persistently been able to maintain very light levels of regulation in terms of key OECD indicators such as product market regulation (PMR) and employment protection legislation (EPL), for which high scores have been shown to have significant detrimental effects. In 2013, the UK had a PMR score of 1.09 and an EPL score of 1.12, the second and third lowest in the OECD, respectively. Moreover, it is noticeable that the regulations which it might be politically feasible to remove in the event of Brexit do not include anything that might make a significant difference to productivity performance. In short, the Brexit decision that the UK should renegotiate all its trade agreement--both directly with the EU and those agreements made by the EU with other countries--might not have much negative effect on the UK economy, assuming a new set of trade agreements not too different from existing arrangements goes into effect fairly soon. (Did I ram enough qualifiers into that sentence?) But existing trade agreements were not a primary source of Britain's economic issues, and so renegotiating trade agreements won't be a path to economic prosperity for the UK. How Much Slack is Left in US Labor Markets? Convert Carbon Dioxide from the Air to Methanol? Is Support for Democracy Eroding?